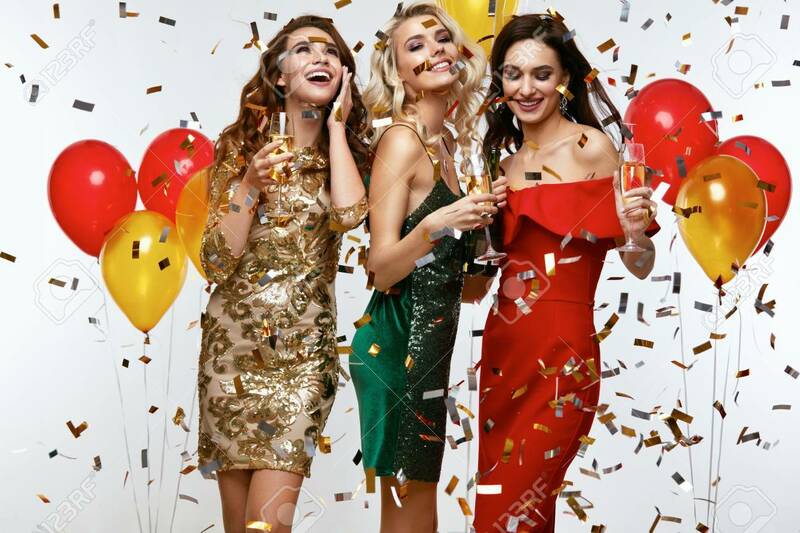 Beautiful Women Celebrating New Year, Having Fun At Party. Portrait Of Happy Smiling Girls In Stylish Glamorous Dresses With Champagne Glasses At Fashion Party. High Resolution. Lizenzfreie Fotos, Bilder Und Stock Fotografie. Image 90179330. Standard-Bild - Beautiful Women Celebrating New Year, Having Fun At Party. Portrait Of Happy Smiling Girls In Stylish Glamorous Dresses With Champagne Glasses At Fashion Party. High Resolution. Beautiful Women Celebrating New Year, Having Fun At Party. Portrait Of Happy Smiling Girls In Stylish Glamorous Dresses With Champagne Glasses At Fashion Party. High Resolution.